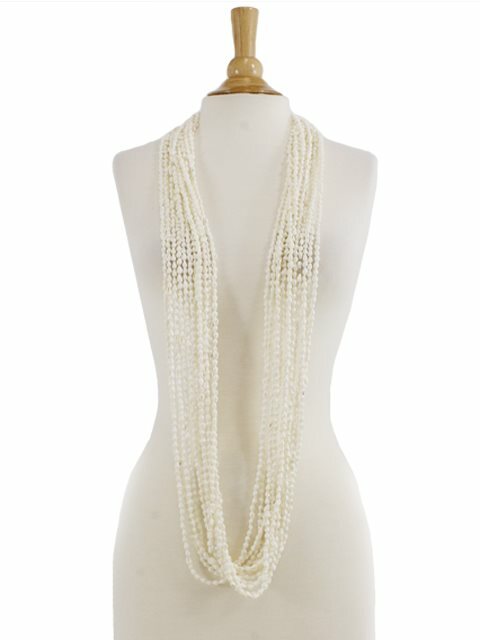 This Nasa White Shell Lei is of approximately 5 feet (150cm) in length with 12 strands. The NASA Shells are awesome! I love the length and quantity. Fabulous Shell necklace. Lovely on a Virgin Mary large cement statue in my rose garden. Nice size and quality shell strands. Extremely long! Elegant! Beautiful! Arrive safely due to excellent packaging! The product received exceeded my expectations- excellent quality -absolutely perfect. Thank you !